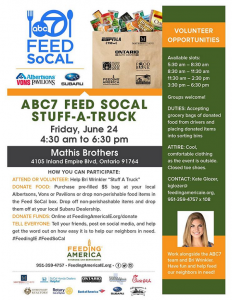 Want to help feed hungry people right here in the Inland Empire? 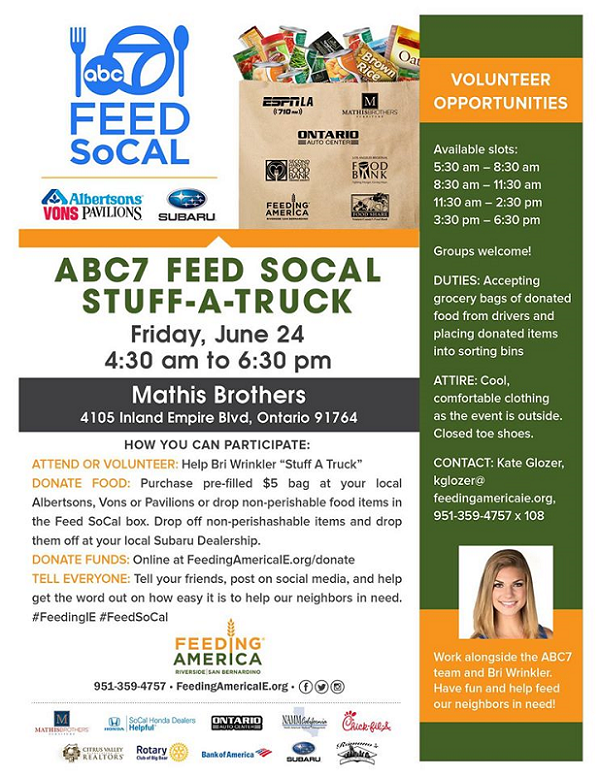 Then come to Mathis Brothers in Ontario on Friday (June 24) and participate in Feeding America Riverside | San Bernardino’s “Stuff A Bus” event. Bring non-perishable food items to donate, or purchase pre-filled donation bags for $5 at Albertsons or Vons stores. First, the good news: Victoria Gardens’ Tour de Fork is back for a fourth year. 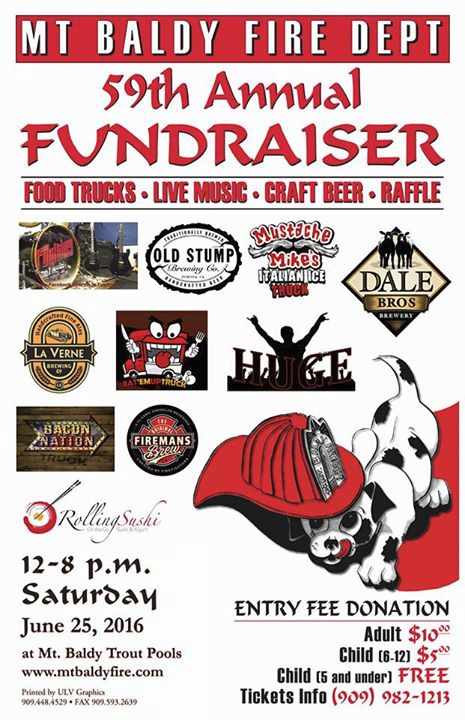 The event is one of our favorite Inland Empire food events. 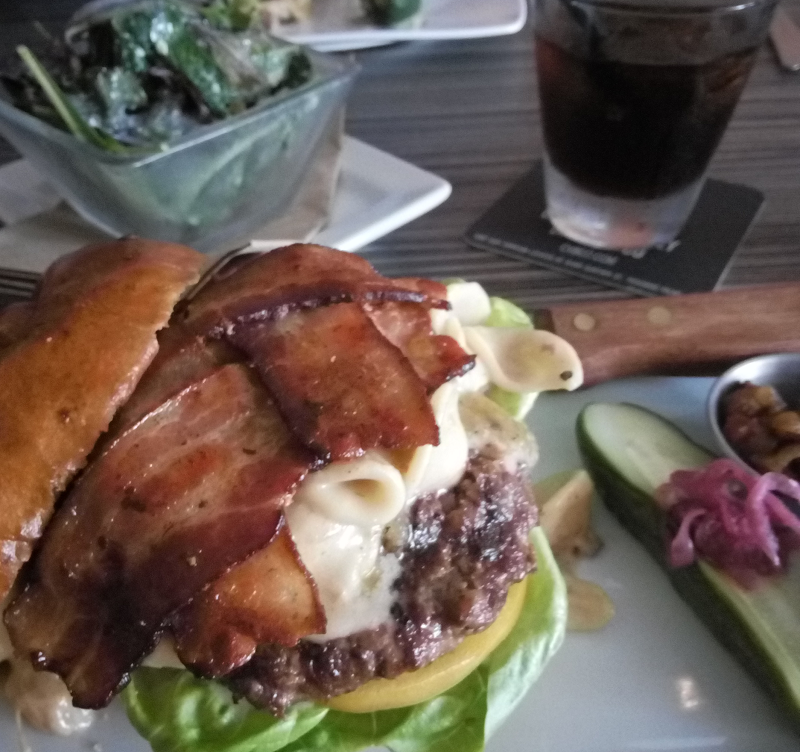 Tour de Fork, which features sampling from restaurants, breweries and wineries from Victoria Gardens and beyond, isn’t one of our favorites just because of all the delicious food and drink. A full 100% of ticket sales benefit local charities. 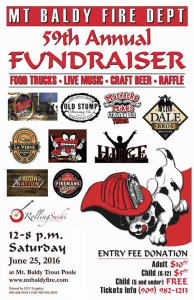 This year’s event benefits the Rancho Cucamonga Community & Arts Foundation and the Rancho Cucamonga Library Foundation. Now, the bad news: If you don’t already have a ticket, you won’t be going this year. The event, which takes place June 23, is already sold out. We’ve been eagerly anticipating the opening of both Noodle World Jr. and CREAM (Cookies Rule Everything Around Me) in the Daybreak Plaza on the northeastern outskirts of Ontario Mills, and the first one out of the gate will be CREAM. The gourmet dessert shop — which features super-premium ice cream, cookies, ice cream sandwiches, shakes, sundaes and more — will hold its grand opening from noon to 6 p.m. on Saturday (June 4).